During the seventh week of your pregnancy, you baby is reaching some important growth milestones, and you're definitely experiencing a few changes of your own. It's been between 29 and 35 days since conception, and your baby is now 10,000 times bigger than it was on the day it was conceived. Your baby's arm buds have formed into hand-like paddles. Leg buds are forming, which will eventually become your baby's legs, feet, and cute little toes. Its head and face are taking shape as the eyes and nostrils start to form. Your baby's brain now consists of five distinct sections, and new brain cells are appearing at a rate of about 6,000 per hour. Primitive kidneys and stomach appear, although these organs can't yet function. Your baby isn't the only one who is growing and developing. At this point, you've probably noticed that your clothes are tighter, although you don't need to invest in maternity clothes yet. You may also be experiencing an increased sense of smell and may find certain odors repulsive or even nauseating. Food odors are among the strongest and most offensive for many women, and this increased sense of smell can make morning sickness worse. The Cleveland Clinic recommends eating food cold, since heating it up can produce a smell. Have you noticed that you can't stand the idea of eating some of your favorite foods? Food aversions are a normal part of pregnancy, and you should listen to your body if it tells you not to eat something. Similarly, you may find certain food irresistible. As long as they are healthy, it's okay to indulge in moderation. However, WebMD cautions against filling up with junk food instead of eating the healthy diet you and your baby need. The seventh week of your pregnancy is also typically when you will develop a mucous plug in the cervical canal. This plug serves as a seal to the uterus and is necessary for the protection of your growing embryo. As your body goes through constant hormonal changes, you may develop facial acne. You can combat this acne with a good anti-bacterial cleanser and hypoallergenic make up. Normally, the acne will clear up during the second trimester. It's also okay to call your doctor with other concerns. Having a good relationship with your OB or midwife is important for your health and happiness. Although the morning sickness and food aversions can be uncomfortable, your body is working hard to nurture the little one growing inside it. 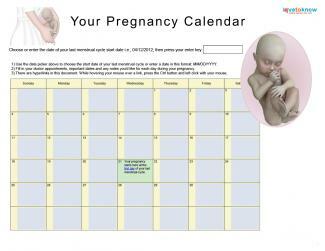 You're about halfway through the first trimester now, and many of the early pregnancy symptoms will go way in the months to come.